Camp Fuji, located at the base of Mount Fuji, Japan, was originally used as a military training area for a Samurai army over 800 years ago. Now as part of the Marine Corps Base Camp Butler complex, Camp Fuji’s mission is to support military training by US Forces. 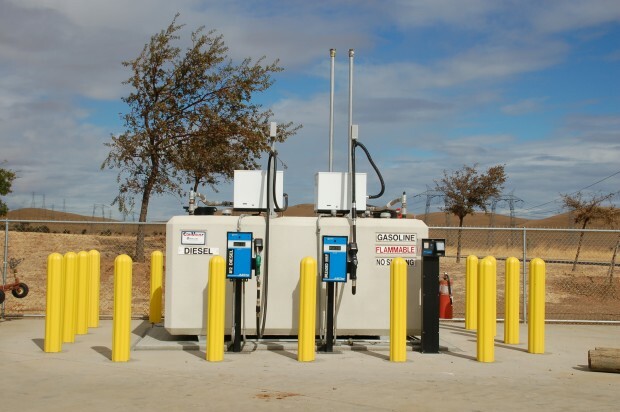 The USMC required secure fueling systems at the base to refuel a large fleet of vehicles. The Core project included three separate refueling stations with a total capacity of 24,000 gallons. Each station included a split 4000 gallon gas/diesel fueling system. ConVault storage tanks were used to ensure the safest system possible. ConVault tanks are surrounded by six inches of reinforced concrete, protecting both the primary and secondary containment. Each tank included: two twin hose high speed fuel dispensers, leak detection, remote fill system, hold down restraints and fuel management systems. Custom canopies were installed over each tank. The systems have given the Marine Corps added safety and environmental security. Camp Fuji has become a flagship fueling facility for the US Navy within the Pacific Rim. The Military Ocean Terminal, Sunny Point (MOTSU), supplies ammunition for all US troop overseas. The U.S. Army required a state-of-the-art fueling system to refuel the many service trucks in use throughout the base. Core provided a turnkey system which included a 10,000 gallon ConVault and two 100 GPM Truck Loading/Unloading skids. Core’s scope of services for MOTSU included manufacturing, off-loading, electrical installation, removal of existing underground piping and startup. A growth in population the city of Oldsmar, FL, required an upgrade of its fleet fueling system that would accommodate a variety of vehicles while still maintaining a small footprint. 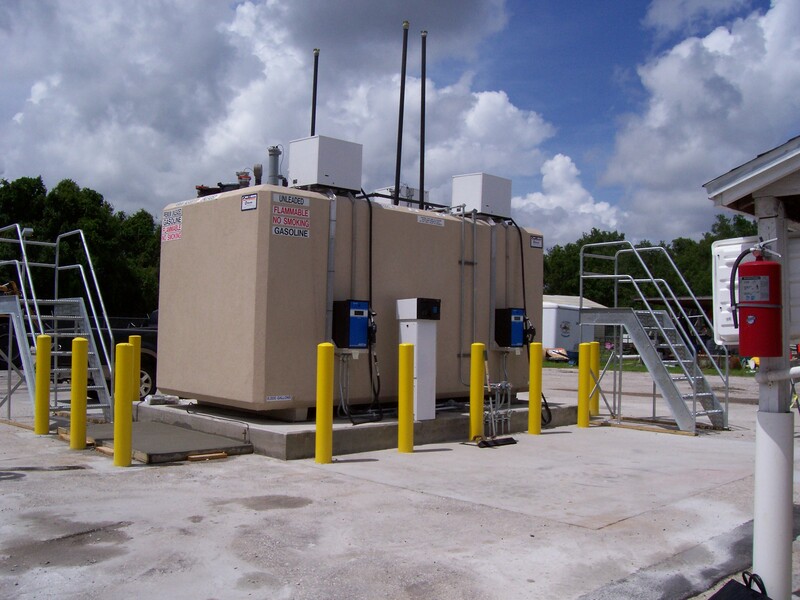 Core Engineered Solutions provided Oldsmar with a custom built triple compartment ConVault Aboveground Fueling System. The main tank was split into 1000, 2000 and 3000 gallon compartments designed to store unleaded, premium and diesel respectively. The system featured 3 separate dispensing systems as well as a fuel management system to help track vehicle history and monitor fuel consumption.. The close proximity of the tanks to the water was a major concern for the city. An environment in such close proximity to salt water will cause steel tanks to rust and corrode prematurely. ConVault tanks were chosen in part because they are encased in a low maintenance protective concrete vault that will not rust or corrode. The city of Oldsmar was able to reference Core’s GSA contract (GS07F-9110G) allowing them to streamline the procurement process and receive GSA pricing. Diego Garcia is located in the heart of the Indian Ocean, some 1,000 miles (1,600 km) from southern coasts of India and Sri Lanka. Since 1973 it has been used primarily as a military base by the United States. To service the fleet of vehicles at Diego Garcia AFB the US Air Force required new 5,200 Gallon Diesel Fuel Storage Systems. Diego Garcia AFB chose Core Engineered Solutions because of Core’s 23 years of experience in manufacturing and shipping Fuel Storage Systems around the world. The US Air Force was able to use Core’s GSA contract (GS07F-9110G) to procure the fueling systems which allowed them to avoid a lengthy and expensive bidding process. The two systems included 5,200 gallon ConVault aboveground tanks and Astra fueling systems for fuel management, to track vehicle history and monitor fuel consumption. ConVault tanks are covered with six inches of monolithic, reinforced concrete to ensure maximum protection against collisions and exposure to harsh environments. Steel tanks in a salt water environment such as Diego Garcia rust prematurely and require constant sandblasting & repainting. ConVault tanks were chosen in part because its low maintenance concrete exterior will not rust or corrode. Core was selected to provide a design-build Aviation refueling system for the USCG capable of fueling and de-fueling Jayhawk helicopters at 75 GPM and 47 GPM. The installation included three 12,000 gallon fuel storage tanks with multiple pumps feeding each tank. Each redundant system featured tanks, piping, control systems, tank monitor, filtration and spill containment. The scope of services included; design assistance, manufacturing, procurement, installation, permits, inspection and training for the entire system. 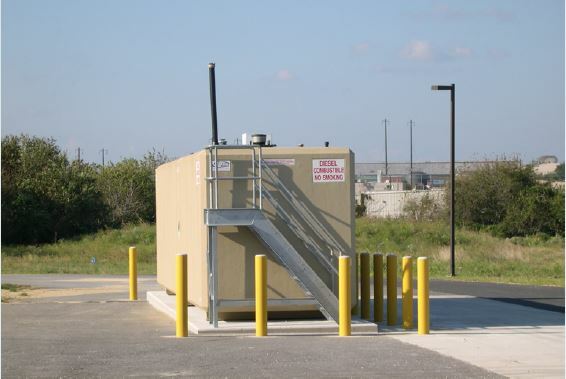 Core Engineered Solutions, Inc. designed, furnished and installed new fuel storage facilities to replace existing UST’s at Veterans Administration’s Medical Centers and Cemetery’s throughout the US. Core’s full scope of services, from design to startup allowed the VA to rely on a single source system provider for the design, procurement and installation of state-of-the-art equipment. Core’s pre-engineered fueling systems provided the US Border Patrol with standardized equipment at multiple sites throughout the country. This included design, production, installation, start-up and training. Electronic fuel management systems were installed at all sites for security and accountability. Systems were linked to an onsite computer for remote monitoring.